Get notified when G Eazy tickets are available! G-Eazy is an American rapper and hip hop artist who got his beginnings when his album These Things Happen debuted in 2014, reaching No.3 on the Billboard Charts. 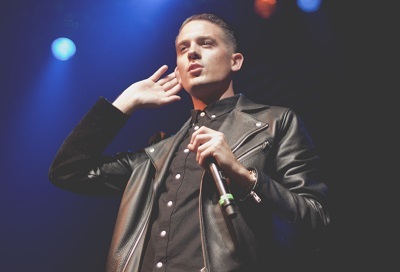 G-Eazy has toured the nation with Shwayze and opened for well-known artists such as Lil Wayne and Snoop Dogg. His hit song “My Life is a Party” was featured in the video Game Saints Row: The Third. After gaining such popularity and being featured in the 2016 film Suicide Squad, G-Eazy has continued his touring and you can be in the audience the next time he comes to your hometown by getting some G Eazy tickets using the links above.